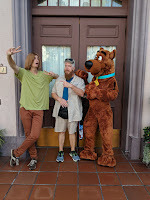 Today is the day for Halloween Horror Nights (HHN) event so it's going to be a long day. Up at 6am to get ready and walk over for early entry at 7am. 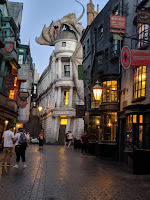 The Wizarding World of Harry Potter is really an amazing place. Something that I noticed is there are all these little mechanical flourishes all throughout and the are all still working, at least the ones that I remember. The one possible exception was the Whomping Willow on the Forbidden Journey ride. Don't know if that has done the Everest Yeti at Disney or if it was just not working when I rode it. But all the little animations in the stores and windows were still performing routinely. Spending time just walking around and looking at the details is always a lot of fun. Eventually I ended up in the area where lots of characters come out you can interact with them. Most of them engage slightly, get the picture and then onto the next guest. 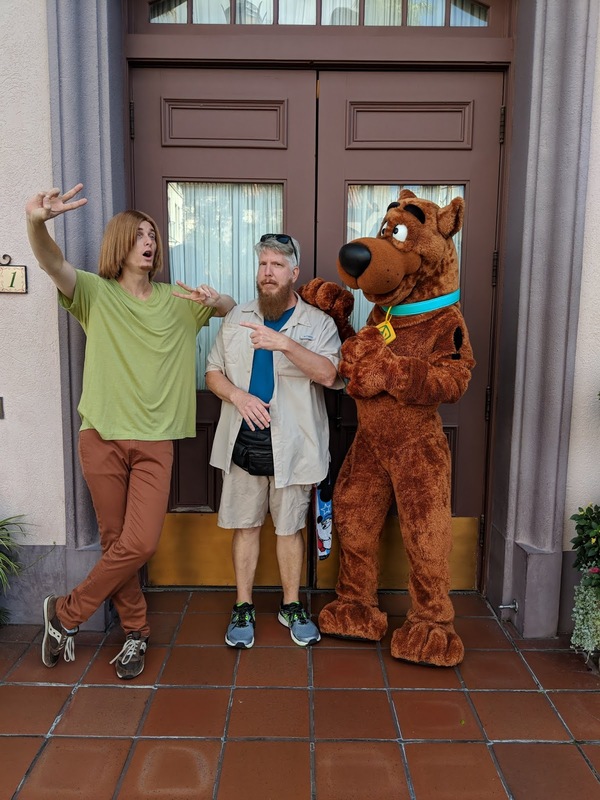 I really need to compliment the person playing Shaggy from Scooby Doo. He was pulling people in really getting engaged with them. For me he asked where I'm from and the response, as usual, got a big reaction. We got into the discussion and we eventually parted with one last question....Pineapple on pizza? I said no. He said anything would go on a pizza! Something I've tried to do is monitor the amount of steps/mileage that I've been doing. Unfortunately, if you don't get the numbers before the end of the day, you don't get a summary, but individual sessions broken down and I've discovered that the numbers don't add up. But I ended up walking back and forth twice to the hotel and all the attractions. But some steps aren't recorded as the cell phone gets locked up before all of the queue walking and steps in certain attractions. The queues for the mazes were crazy long and from the best I can figure I did about 13 very sweaty miles. For the first time on the trip which I think was because the day was so long, the chaffing started about 10 pm during the horror event. Luckily, earlier in the evening I met up with another former co-host from In the Loop and the discussions helped keep my mind off of the pain. It was great to see Will again and grateful and thankful that he took time out of his schedule to meet up in the park. This was my second HHN and some of the same issues I had the first time occurred again. 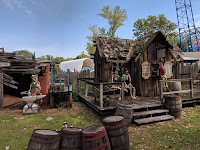 Stayed in the park in a lock down zone and even with being in the first group going to the first house before the public was let it, the Stranger Things house was still a 45 minute wait. I saw the movie Killer Clowns from Outer Space about a month ago and really loved the scare zone. Unfortunately, Bill and Ted were no longer populating the stage and I head from several people that the Academy of Villains show was OK but wouldn't be missing anything if you didn't see it. Overall an enjoyable event. On the way out of the event, they were asking people to take a survey. I finished and they were asking for statistical information. I got to where they asked gender, they only listed male and female. I was thanked by a manager type when I finished and pointed out that in the city of New York, they officially have 31 genders and why were they not being inclusive by including all of them in their survey. He kinda looked at me and just said thank you for the feedback. Once I got back to my room I was glad to get the sweat soaked clothing off and start to get comfortable. When I went to write down some more notes about the resort, I discovered that my notes had disappeared and a new note was there saying "We are very sorry we are already on track to solve your problems." The iPad in the room has a chat feature and I reported that my notes were missing, they were incomplete and that I wanted them back. Within minutes, they chatted back that someone from housekeeping would be in touch in the morning. Finally was able to hit the sack about 2am. Again, it was a long day! 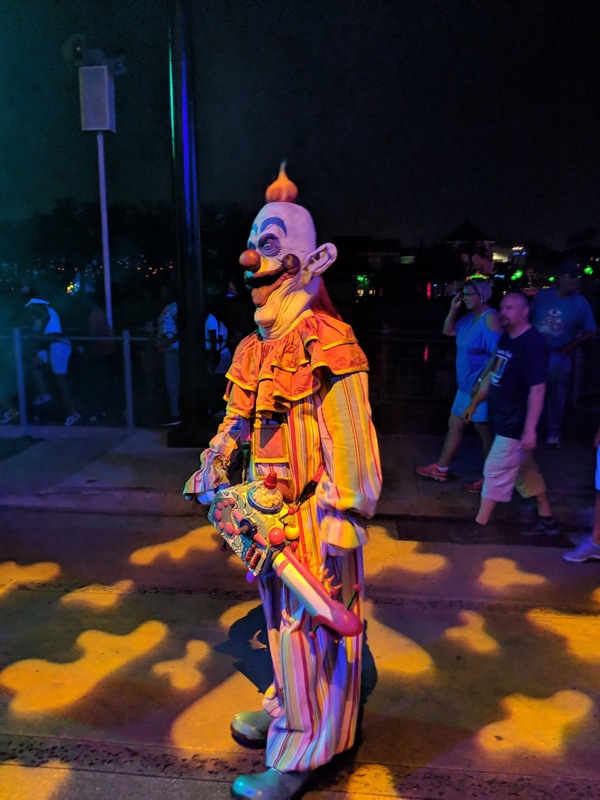 Tomorrow (actually later today) is another transition day, but more importantly, it's a night to go see Yehaa Bob over at the River Roost at Port Orleans Riverside. After three days at Cedar Point, it was time to head down south to the warmer weather. After 24 hours there, not having problems with a runny nose! Yea! One of the issues I had in Cleveland was the blue tooth connection in the vehicle. Had no problems in Knoxville or Boston. I tried several items to get the bluetooth to work with the Sync in the Ford vehicle, but no luck. As I get to select my car I was looking for 1) a covered back so as I ran around today people couldn't see the items in the car and 2) blue tooth and not a USB or AUX input because of the type of phone that I have. After trying several different cars, I ended back in the same type of car I had in Cleveland. UGH! But, this one had the manual still in the glove compartment. Blue tooth is NOT in the index, you had to look up phone and media and then found what I needed. Apparently because I have Android, I have to get a special app to worth with a car's blue tooth. Not a happy camper, but I eventually got it working 45 minutes after getting down to the agency to select my car. From there it was over to Fun Spot. Got the unlimited band that would allow me to both locations. Did Mine Blower several times. Really liked it! Good job Gravity Group! 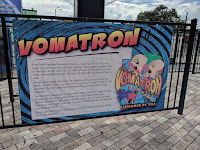 Next door at Old Town was the ride called Vomatron. I saw one in Hawaii about a decade ago and decided since one was there I would do it. Unfortunately, all the pictures they took came out blurry so other than a receipt, I have no proof. 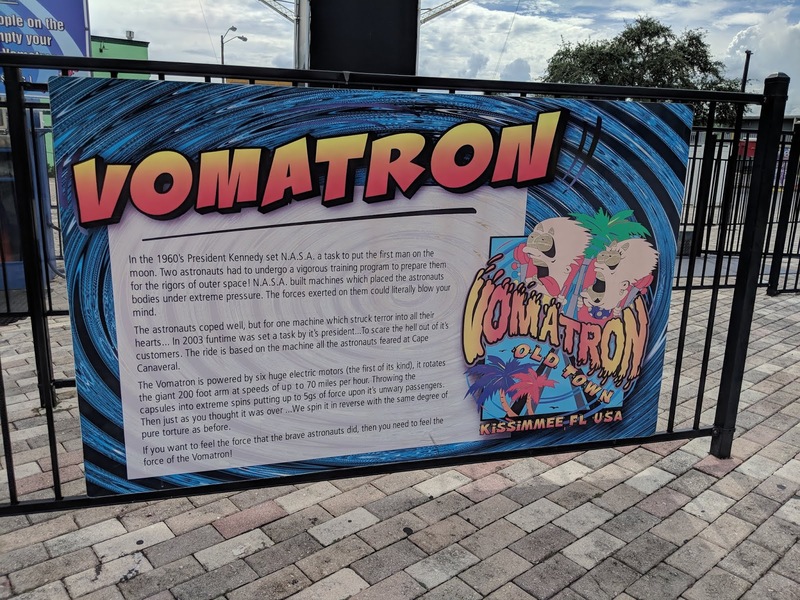 Did one of the two go-kart tracks they have at the Kissimmee location. Unfortunately one of the two was down for repairs but it was great to try for the first time! Heading into Orlando, it was Star Flyer time. Really surprised me as it was more forceful rotation speed that I anticipated. I really am not afraid of heights, but I started to rotate. If you ever watched the video of the Tacoma Narrows bridge oscillation, that was me with my rotation a little at first and then eventually, I was facing the people behind me. It freaked me out a bit. I wasn't trying to get it to rotate, but when I asked the attendant why, she was clueless. Since I was there, did the Ripley's Believe It Or Not museum. Can say I've been in one and not sure I would do it again. At the Orlando Fun Spot location, I did the coasters there and also the go-karts. On the one track called Thrasher, there was no one waiting in line and me and the one other guy on the track were allowed to keep going and going and going. I finally got the hang of it and it was sort of like drifting. Between the coasters and the go-karts, I got my money's worth of the band use! 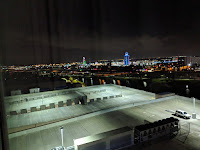 At the hotel, I learned that Google Maps gives you wrong directions. They need to put up a big sign saying if you don't turn to the left or right at the one set of lights, you will have to go to Lake Buena Vista and turn around! The hotel is nice. It opened about a month ago, but it still has some bugs to work out. 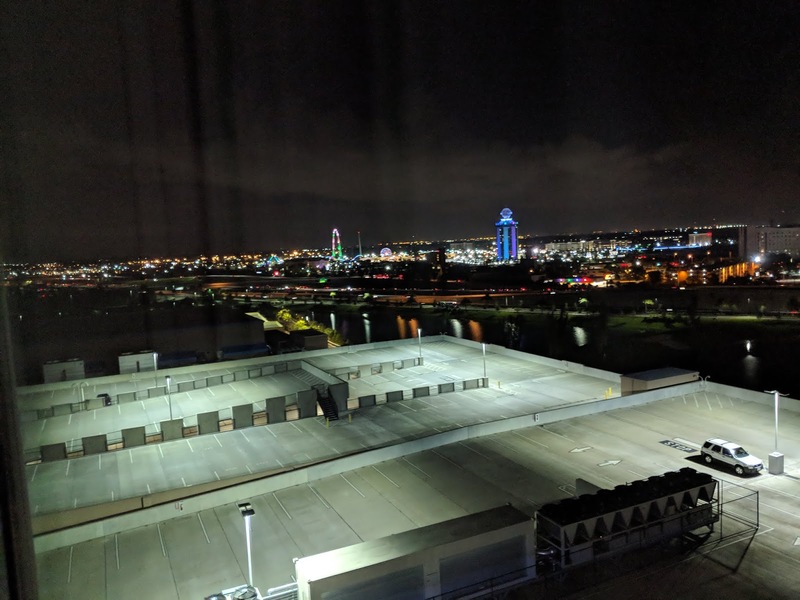 After I got myself settled down found out that a couple of other coaster buds are checked into the same hotel as they posted on FB their view. Much nicer than mine as I have a view of the garage. Hope to run into them later. After using the room and property a bit, have some feed back for them. One of the items is that they provide coffee in the room. When I asked about tea, was told that I can go to the Urban Pantry or Starbucks to order some. There is a note pad with pen and keeping there in the old fashioned way. So many items are controlled by the iPad and at least the pen and paper are not. I had a friend who was supposed to get me a discount for park admission. Unfortunately, that fell through so I got on-line and ordered my ticket. 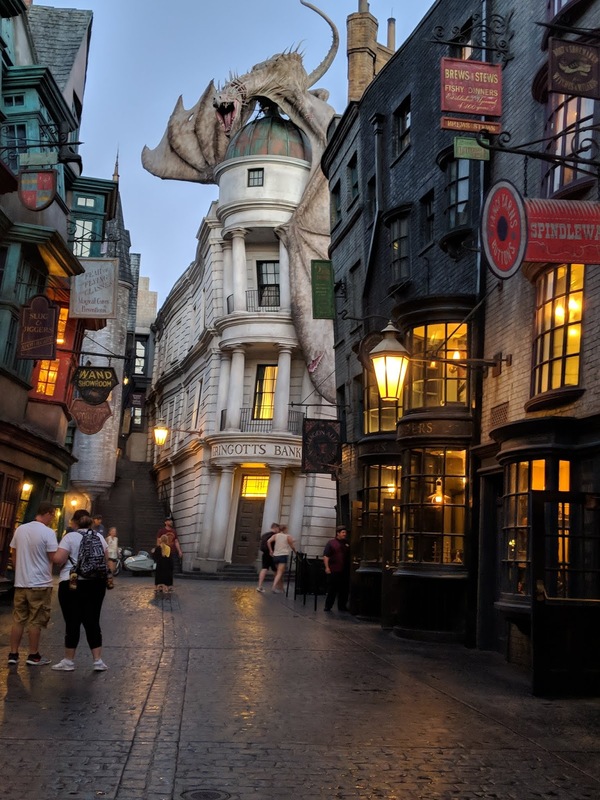 Universal is having a special offer where you you get extra admissions for use within a week. I might use it on Thursday. The room uses an iPad like device to control everything. Set the alarm and figured I'd walk over in the AM. Discovered that the alarm is not that loud and the pathway isn't really clearly marked. Used the bus to get over the parks. I've learned through experience that by using a fanny pack, yeah, I know it looks dumb, but when it comes to going through security, it makes things so much easier. Same thing when you have to put items in a locker for the rides. Spent the day getting on those items that are new to me like the Jimmy Fallon and Fast and Furious rides as the targets but then just walking around and enjoying the place. With all the go-go-go that I've been doing I did something that I usually don't do, but decided to head back to the hotel and take a nap. I took the path that I was looking for this morning and discovered that they really don't have it marked well and have made notes to give the hotel. As for the nap, it was so worth it. Even with the curtains open, I fell asleep. It was needed. 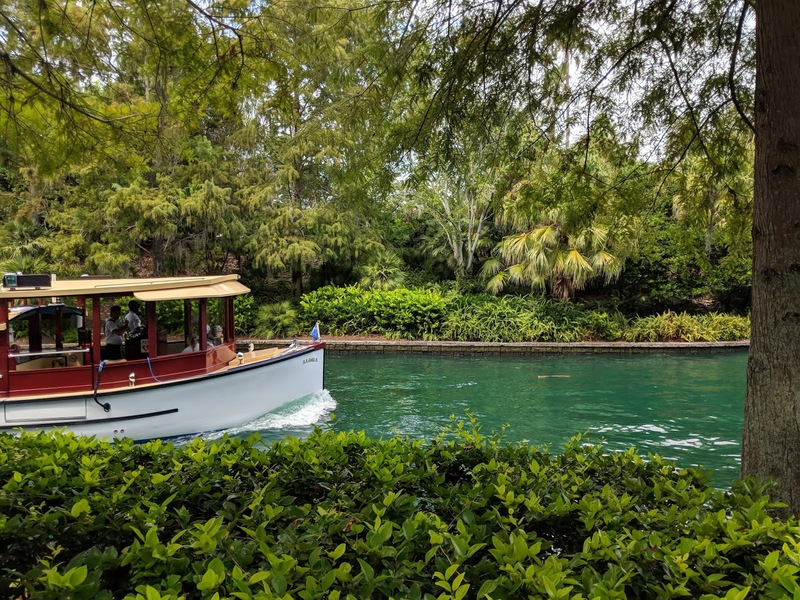 After heading back into the parks after following the path, this time it was only a 20 minute walk into Islands of Adventure, hit up more rides and just taking in the place. The pathway has some very nice views. Something that really hit me as I was riding the Hulk roller coaster is that these are big mammoth machines and that as a rider you really have to believe that both the manufacturer and park have your best interest in heart when they give you their instructions. You really do have to have faith that the restraints are going to hold you in place and I chose to believe them. While I might have those funny feelings in my lower tummy and I'm being turned upside down, I can rest assured that the restraints and physics are going to hold me in place! Back to the two coaster buddies. Ran into them and chatted for a few minutes. Tomorrow will probably send more time with them and hopefully some others at the Horror Nights event. Something that I did today that was bad...I completely threw the eating habits out the window. Something that I did today which makes me proud...managed to get back to my room, put on my gym clothes and put in several miles on the treadmill at the gym in the hotel. Additionally, I was contacted by work yesterday about a certain report. Some software was supposed to be updated so a new processed would have run the report but the software failed and had to drop back to the old method. Luckily I was in my room and had access to a computer. Today, had a question about a process. Luckily it was a simple text answer. Tomorrow is going to be a long day with early entry and then the Horror nights event. It might be very practical to take a break in the afternoon. Last full day here in beautiful Sandusky Ohio. Being a Sunday, I needed to do a longer run for my marathon training. Not being familiar with the area I did a run, but didn't do the total mileage that I wanted. Running along the causeway that leads out to the park, it gives you a different perspective than you would as you cruise along at 30 MPH getting ready to ride the coasters. At home, along my route I know there are places with restrooms in parks and water fountains. Not so with this run. So I ended up cutting it short. But, at least I got in something. The weather today has been really warm. I have been using a long sleeve shirt and then I have a second layer of a short sleeve shirt that buttons down but I leave open. It got warm enough that I went into the restroom and took off the long sleeve and just used the short sleeve shirt. To keep the ladies at bay, I made sure to button up the shirt. With yesterday's purchase of the season pass, I was allowed into the park an hour early. Immediately head to the back of the park to take in Steel Vengeance. Hiking back there takes time and even with just the passholders in the park, the first ride took 1 hour to complete. But able to take in a few more coasters before the park really got going. Nice thing about days like this is you have your goals done and you can just relax, walk around, take in some of the smaller details. 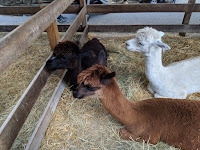 Go over to the petting zoo and pet some of the llamas they have there. They had the indoor haunts open and I did a couple of them. They were good. The lighting was such that you could see the scenes and the actors which was so nice as compared to the outdoor mazes of the previous nights. 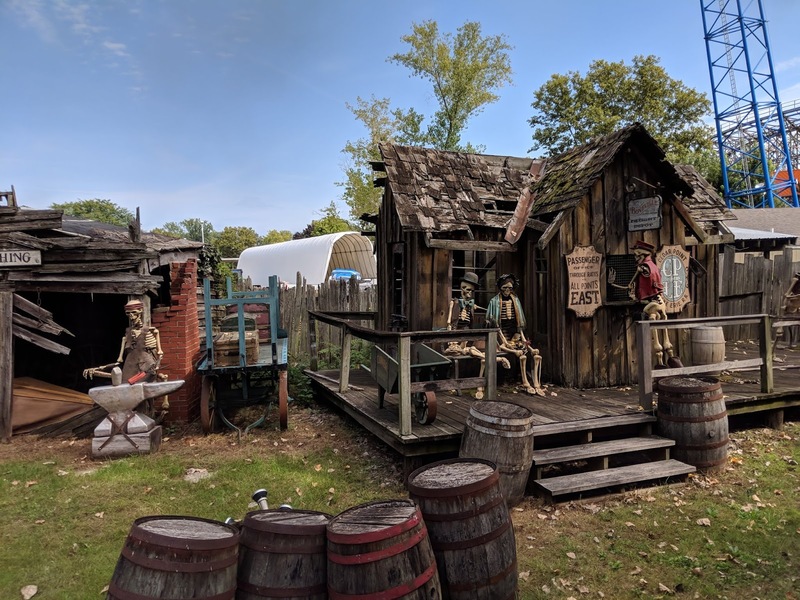 As I walked around the park and rode the rides, the staff seemed to be very efficient, but in terms of friendliness, they were focused. Let me get your your drink, food or up and running on the ride. The associates just did what they needed to do. For me, that meant that I was able to get on and off the rides quickly. Except for the Giant Wheel. I waited in line and when I got to the front, was told they don't allow single riders. That was the first time that I've been rejected for the number in the party as compared to the weight/size of the rider. Cedar Point has a long history and that includes a train so a train ride was necessary. They had some scenes set up to add to the experience, but there was something else that really caught my eye. There are so many coasters at the park and as you ride the train, it really becomes apparent. The excursion leads you next to so many parts of the track but more so the support structures. Up along the midway the area is designed so that you have lockers and booths and buildings. But there in the back you really get to see what is making up these rides. It was a fascinating look behind the scenes. The one ride that I wanted to do a second time but wasn't able was Top Thrill Dragster. It had been marked in the app as being closed. There was staff on the platform and trains on the track, but there was nothing going on not even test runs of the vehicles. I was hoping to see some testing with a possible roll back, but...nothing. While the park was open until 8pm, I decided to call it a day around 5pm. This is such a long trip and with limited clothing with me, I ended up back at the room and did laundry. At home I line dry my clothes so it was a change of pace to end up using a dryer for the first time in ages. I thought about going to Chet and Matt's for dinner, as I've heard lots of good things about this location from other coaster enthusiasts but decided that the diet needs to keep some semblance of order so I decided to pass on this trip. Laundry, packing and getting items lined up for Orlando's adventure that starts tomorrow. A guy who lives in Hawaii and wants to share it with others as well as his other passion which is Disney.